Your Pokemon's song is quite annoying. Oops. 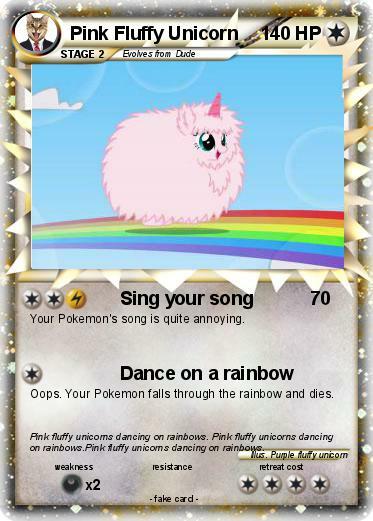 Your Pokemon falls through the rainbow and dies. Comments : Pink fluffy unicorns dancing on rainbows. Pink fluffy unicorns dancing on rainbows.Pink fluffy unicorns dancing on rainbows.